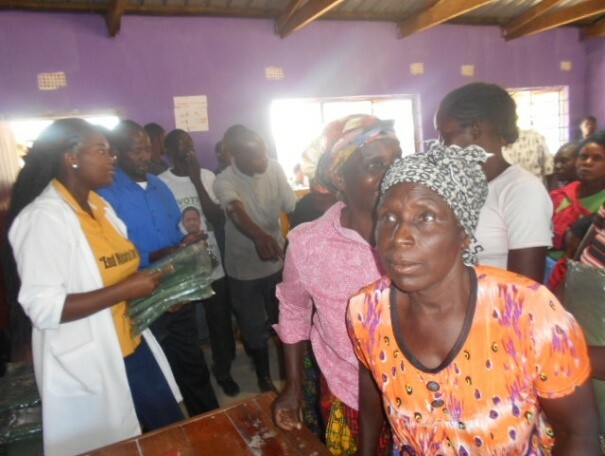 Power of Love’s malaria prevention program, provides long lasting insecticide treated nets and education on prevention of malaria to children and families vulnerable to malaria in two impoverished communities – one urban and one rural- in Zambia. Our goal is to eradicate malaria from Zambia and we are working toward this goal one community at a time. Over the last ten years we have been able to provide over 26,000 nets and education on malaria prevention to families in Kenya and Zambia. In 2017, we provided 4000 long lasting insecticide treated nets and education on malaria prevention to women and children vulnerable to malaria in Zambia. Based on a post-distribution study conducted to assess the impact of these program activities, we can conclude that the nets distributed over the last 2-3 years are in good condition, are being used as directed, and families are more knowledgeable about malaria prevention. Our goal is to provide 5000-7000 mosquito bed nets in 2018. Is Malaria Still a Problem? Malaria is still a problem. Globally there were 216 million cases of malaria and 445,000 deaths in 2016. Sub-Saharan Africa continues to carry a disproportionately high share of the global malaria burden as this region is home to 90% of malaria cases and deaths. In addition, children under five are particularly susceptible to malaria infection and death. Every year, malaria kills more than 300,000 children under-five globally, 95% in Africa. Moreover, pregnant women, young children (who have yet to develop an immunity to malaria), older people, people with TB, and people living with HIV are especially vulnerable to malaria as co-infections rates between malaria, TB, and HIV are very high. Is it possible to reduce malaria deaths to zero? Yes, we can eliminate malaria deaths to zero as malaria is both preventable and curable. Malaria has been eradicated in the US and it is possible to eradicate it worldwide. Over the last seven years, we have been able to provide 14,800 long lasting insecticide treated nets and education on prevention of malaria to families in Zambia. These nets were used by an estimated 59,200 children (as each net can sleep up to four young children) or 29,600 adults (as each net can sleep two adults). In 2017, 4000 long lasting insecticide treated nets and education on malaria prevention was provided to families vulnerable to malaria in Zambia. To ensure that program activities were effective we interviewed beneficiaries regarding proper use and effectiveness of nets in prevention malaria. The information was collected just before the malaria season to improve accuracy of malaria infections among beneficiary families. 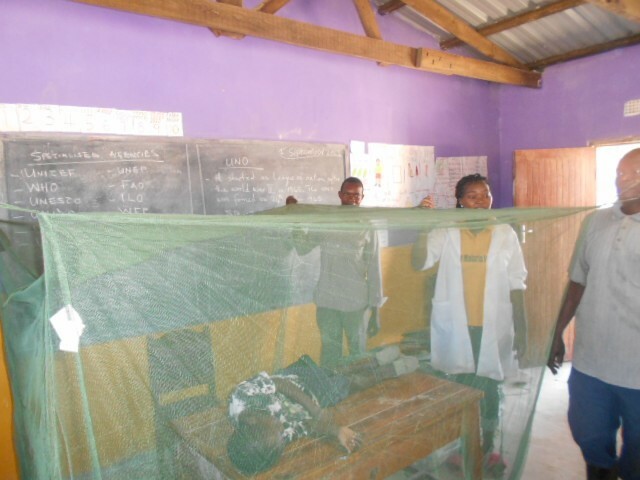 The goals of this study were to assess: (i) if the nets are being used every night, (ii) if the nets were maintained and stored as demonstrated during the malaria education sessions, (iii) if the beneficiaries had knowledge about re-treatment of nets, and (iv) if the beneficiaries had better knowledge regarding prevention malaria. (i) Nets are used every night. (ii) More than 90% of beneficiaries had knowledge about the proper use, storage, and maintenance (proper hanging etc.) of nets. (iii) Most beneficiaries had knowledge about re-treatment of nets that is required every six months and that this service is available free of cost by Government agencies. (iv) On average three young children were sleeping under a net. This implies that a single net which costs less than $5, can keep three children malaria free, healthy and in school. (v) Most women had better knowledge about malaria prevention and symptoms of malaria. (viii) All families wanted us to continue to provide them with nets before the malaria season every year. These findings confirm WHO's results that sleeping under a good quality mosquito bed net is one of the cheapest and most effective methods of malaria prevention. This is especially true for populations vulnerable to malaria such as children and adults living with HIV, older people, expecting moms, young children, and people infected with TB. Families in our pediatric HIV care program are visited regularly by community health workers to check on the health of the child. During this home visit, the community health worker provides ongoing education in malaria prevention and answers any questions regarding the proper use, re-treatment and storage of nets. As a result, there were no cases of malaria among children in our pediatric HIV care program, their overall health was better even though they are HIV+, and there were fewer missed days from school. All beneficiary families are grateful for our malaria prevention program and would like to continue receiving nets every year. Beneficiaries of our malaria prevention program are families in enrolled in Power of Love’s paediatric HIV care, microloans, and Safe Park programs and members of the community who are vulnerable to malaria. Beneficiaries were HIV positive children, children under the age of five, pregnant moms, women who are breast feeding and adults who are infected with TB and/or HIV. These sections of the population are vulnerable to malaria as their immune system is compromised, and because co-infection rates between malaria, HIV and TB are very high. According to the World Health Organization, 90 percent of families with a bed net use it. However, in 2015 only 55% of families in sub-Saharan African slept beneath a mosquito bed net. This highlights a need for an additional 45% of families in Sub-Saharan Africa to have access to nets. Moreover, the coverage of insecticide treated nets should not decline as a decrease in coverage can lead to a major resurgence of the disease and can reverse the gains achieved over the last several years. All areas in Zambia, are classified as high transmission areas for malaria. Impoverished and remote communities are especially vulnerable to malaria, due to poor sewage, and water logging that creates a perfect breeding ground for mosquitoes. In addition, most residents in these communities live on less than $2 per day and cannot afford nets. Consequently, the need for nets is huge. 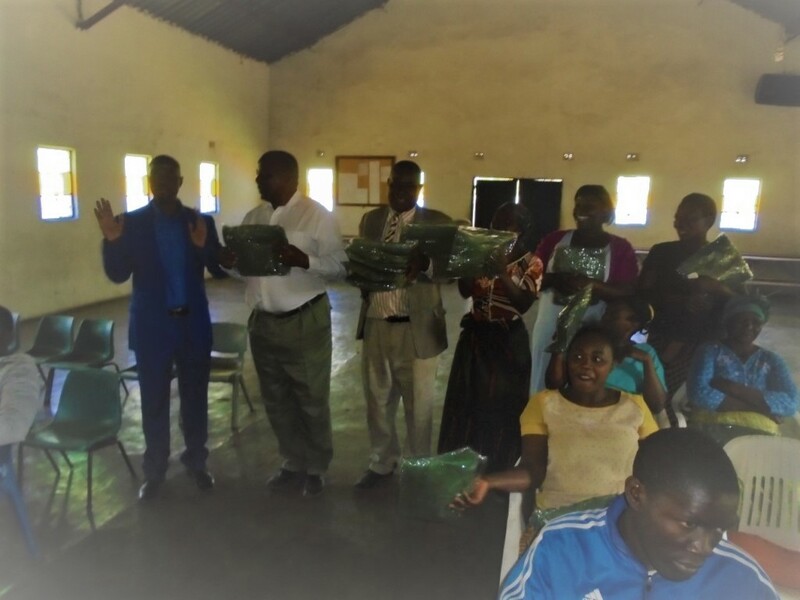 For 2018, our goal is to provide 5000-7000 long lasting insecticide treated nets and education on malaria prevention in two impoverished communities in Zambia. Globally, we are winning the fight against malaria. Between 2010 and 2015, malaria incidence fell by 21% and malaria mortality rates fell by 29% among all age groups, and by 35% among children under five. A decrease in nets coverage now can lead to a major resurgence of the disease and can reverse the gains achieved over the last several years. Eradication of malaria will save thousands of lives leading to an increase in GDP which in turn will enable the African economies to take better care of their people. We can win the fight against malaria which will have huge economic benefits globally. We are confident that as more families sleep under a net and take measures to prevent malaria, the incidence of malaria will continue to decline, and children will be able to attend school regularly. Thanks for your caring and dedication to prevent malaria in Zambia. We could not have achieved our goals without your help.